– Artsynibs reserves full rights to amend or adjust the date, time, venue, content, material, fees, or instructor of any scheduled course, session, workshop, talk or event. The fee treats you to 6 hours of contact time, lunch, light refreshments, and a specially curated starter kit. This course consists of 3 sessions, each 2 hours long, with the first session commencing 13 June 2019. This course consists of 3 sessions, each 2 hours long, with the first session commencing 14 March 2019. REGISTRATION HAS CLOSED FOR THIS WORKSHOP. Time to dust off the wintry slump and kick off the year with a new skill. Together with The Lisserei, we are bringing the Artsynibs Workshop to Hamburg! This is an introductory workshop tailored to beginners who wish to explore the art of writing with a pointed pen. Led by Joyce of Artsynibs, you’ll enjoy 2.5 hours of learning to work with a nib, pen handling techniques, basic letterforms and and how to care for your writing tools. Course fee treats you to light refreshments, and a specially curated starter kit consisting of a nib holder, nibs, a bottle of ink, guide sheets and more! 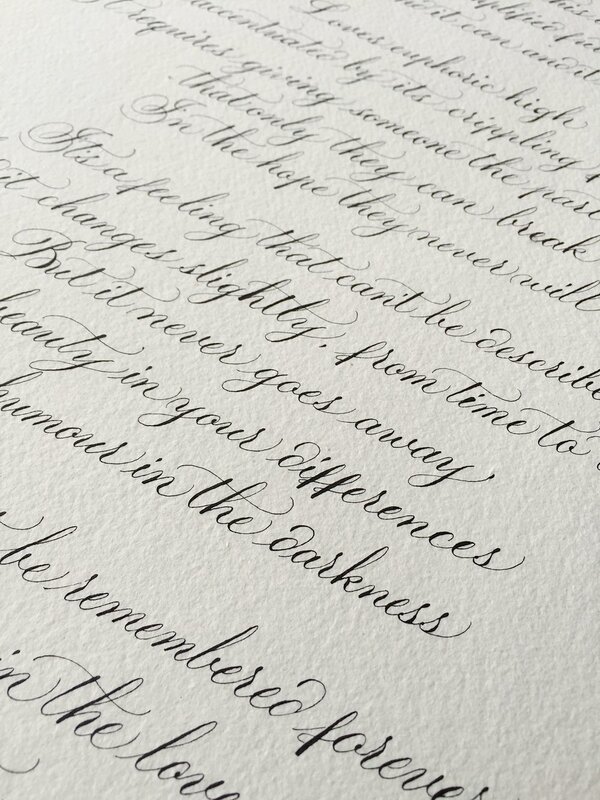 Learn more of the elegant art of modern calligraphy in this bespoke workshop with calligrapher and brush lettering artist Joyce Lee*, which is designed to build on basic calligraphy skills. You’ll develop your skills in writing with nib and ink in under Joyce’s expert tuition, in the inspirational surroundings of Elizabeth Gaskell’s House, where the author herself sat to pen her famous novels with quill and ink. The workshop will run for four hours, and will be kept intentionally small to offer optimal attention to each participant. 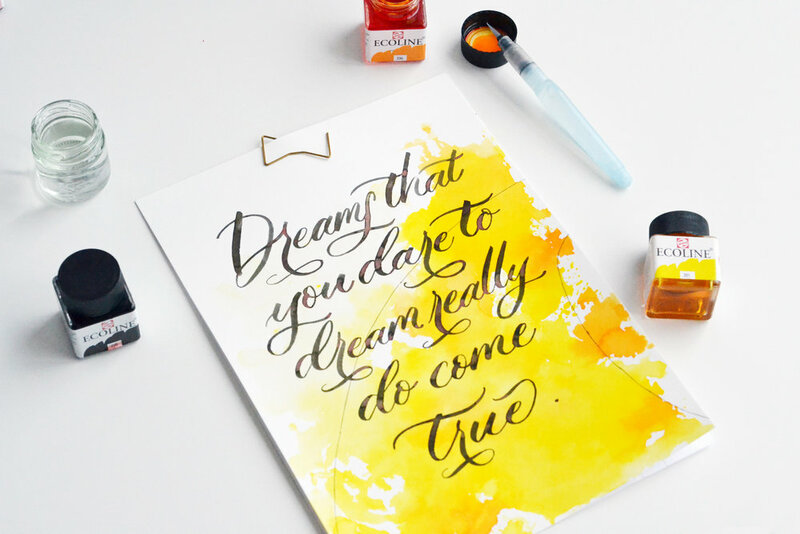 You’ll be given a specially-curated calligraphy kit that includes nibs, a pot of calligraphy ink, a pot of metallic ink, guide sheets, notepad and more. You’ll also enjoy home-made cake and Elizabeth Gaskell’s House-blend tea or filter coffee in our tearoom, as part of the workshop. For the intermediate workshop, you will learn the uppercase alphabets and simple flourishing for that touch of elegance. The workshop fee is £70, and includes tuition, materials, refreshments and a specially-curated kit to keep. *Kindly note that the workshop space is only accessible via a slight of stairs. 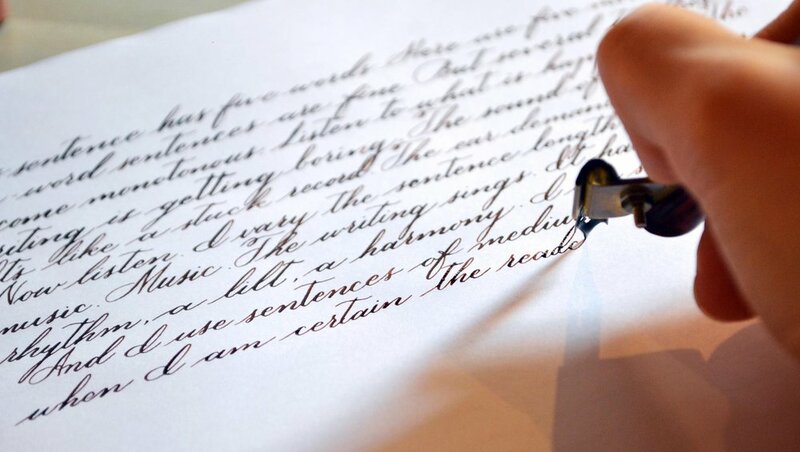 Learn the beautiful skill of writing with nib and ink in a bespoke calligraphy workshop at Elizabeth Gaskell’s House. A wonderful opportunity to relax and let your creativity flow, in the splendidly-restored home of one of Manchester’s most famous writers. 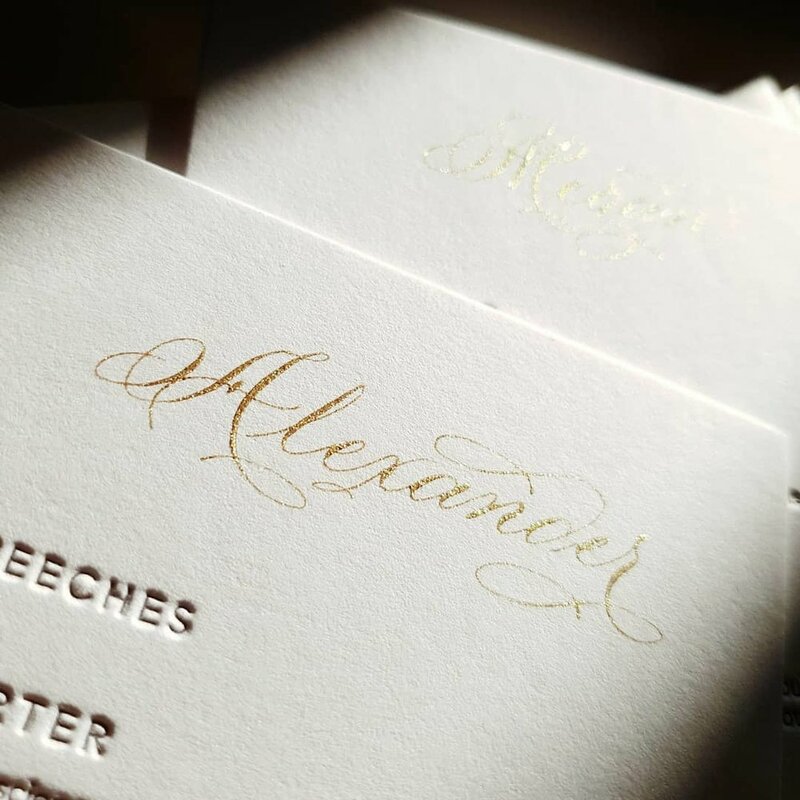 You will be introduced to the elegant art of calligraphy by calligrapher and brush lettering artist Joyce Lee*, in the glorious Regency-style house in the heart of Manchester. 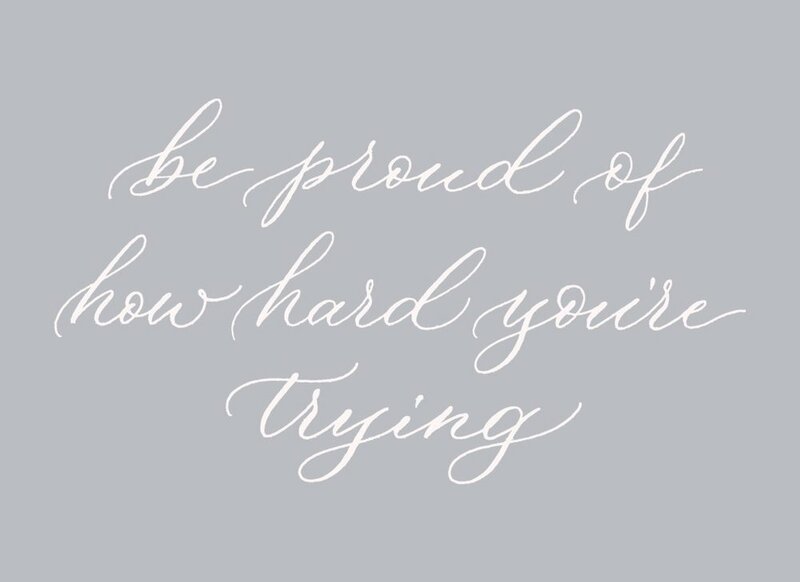 With Joyce’s expert tuition, you’ll learn modern calligraphy techniques, and have the chance to pen a letter yourself during the three-hour workshop (with a 1 hour break). Workshop participants will have the whole house to themselves, for inspiration and contemplative work – from the beautiful garden to the book-lined study, and the graceful drawing room to the dining room where Elizabeth Gaskell herself sat with quill pen and ink to pen her famous novels – and many letters. 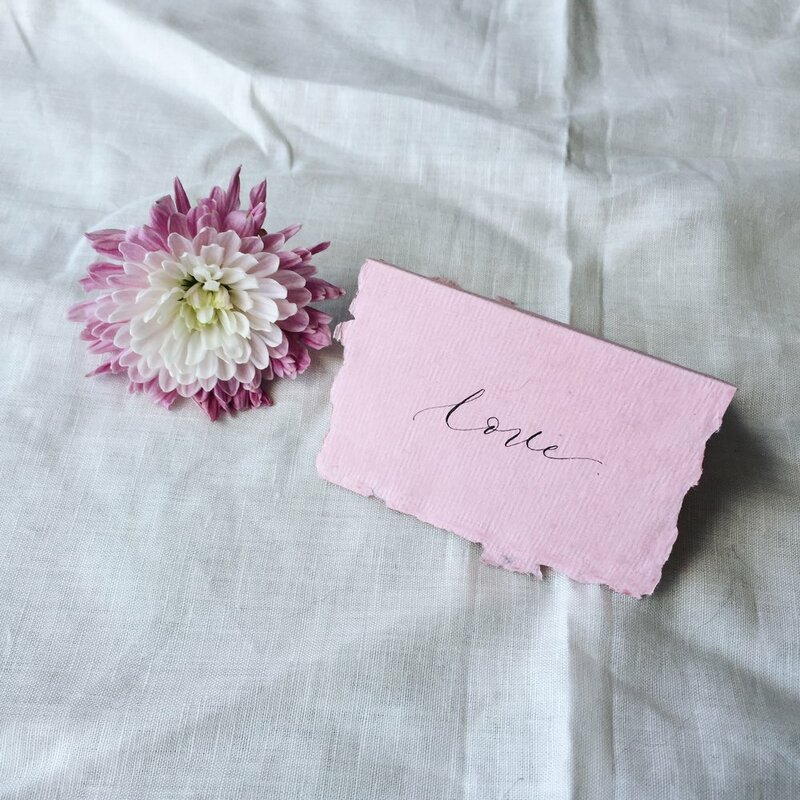 Participants will be given a specially-curated calligraphy starter kit to keep, including nibs, nib holder, ink, letter writing supplies and notes, and enjoy home-made cake and Elizabeth Gaskell’s House-blend tea or filter coffee in our tearoom, as part of the workshop. The price of the workshop is £70 and includes a calligraphy starter kit and refreshments. Artsynibs heads down to the quaint town of Nantwich for a day of pen and ink! 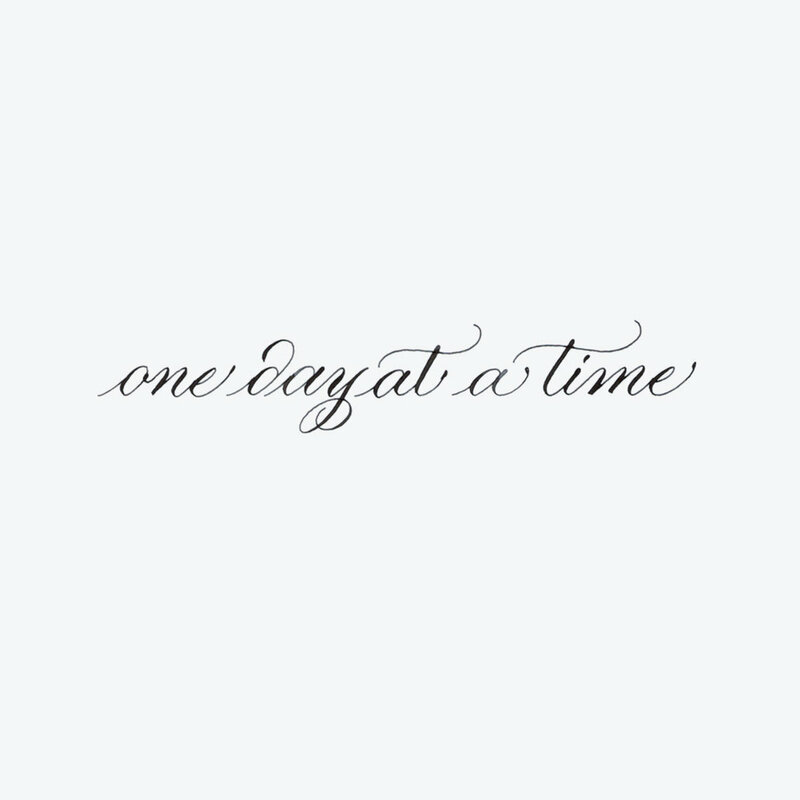 Join us at The Little Paper Shop as we explore the art of writing with a pointed pen. – Artsynibs and The Little Paper Shop reserve full rights to accept or decline the registration of any participant for any reason, without explanation. – Artsynibs and The Little Paper Shop reserve full rights to amend or adjust the date, time, venue, content, fees, or instructor of any scheduled course, session, workshop, talk or event. – Should the workshop be cancelled or shortened, The Little Paper Shop will perform all refunds within 5 working days. This workshop is tailored to beginners who wish to explore the art of writing with a pointed pen. You will learn the basics of modern calligraphy like how to work with a pointed nib and and care for your writing tools. 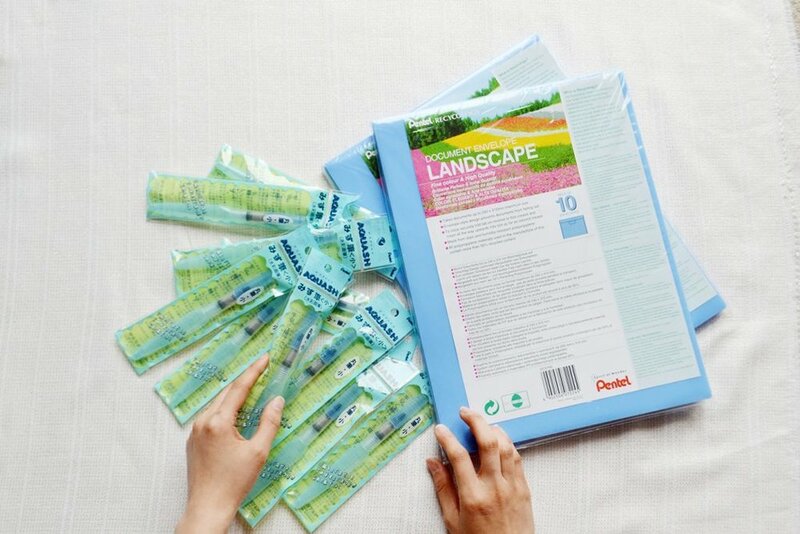 Course fee includes refreshments, and a specially curated starter kit. Please note that this workshop will be taught in English. If you cancel your participation we withheld 100% of the total price as cancellation fee. 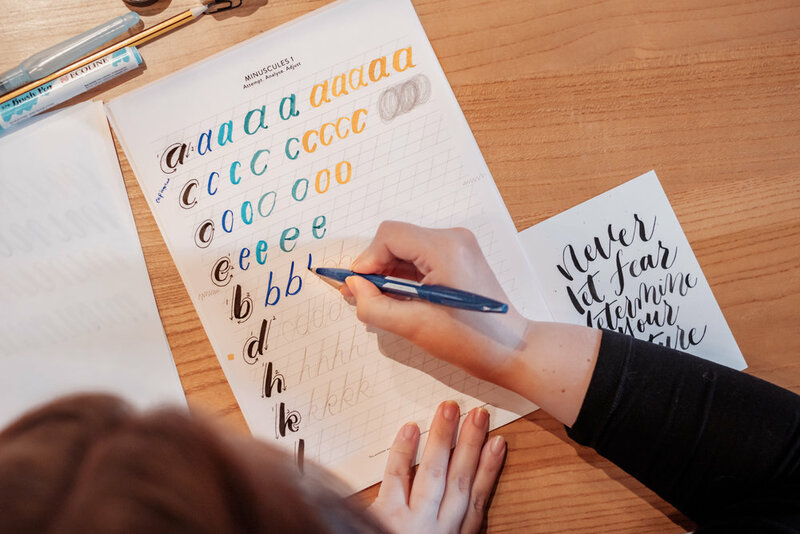 Tailored to beginners, this cosy class will enjoy 2.5 hours of learning to handle the brush pens and paint brushes to create beautiful lettering. 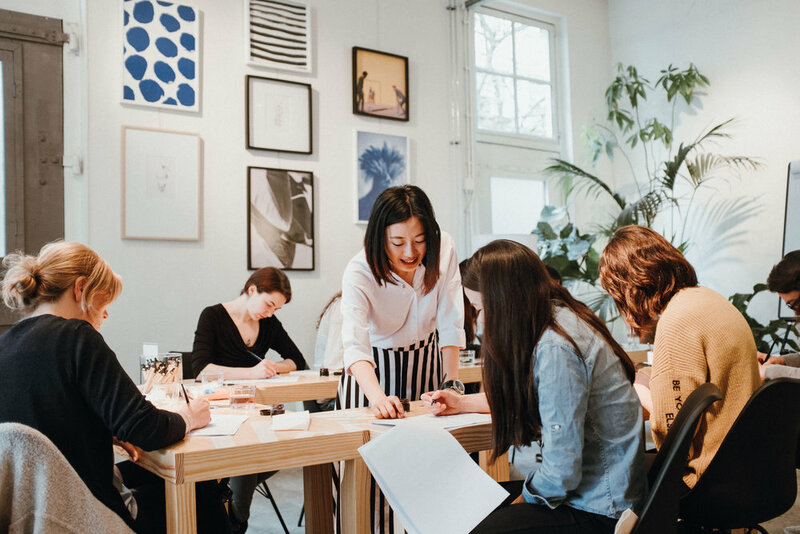 Course fee includes light refreshments, and a specially curated starter kit that includes – various brush pens, a pot of ink, guide sheets, the new Artsynibs tote bag and more! – Course fee includes coffee/tea and a carefully curated starter kit. 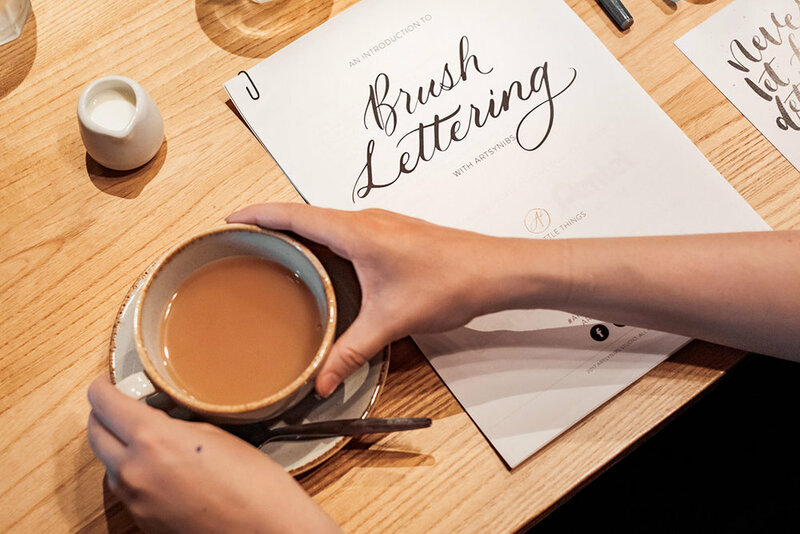 Kick back and unwind at our new brush lettering workshop! 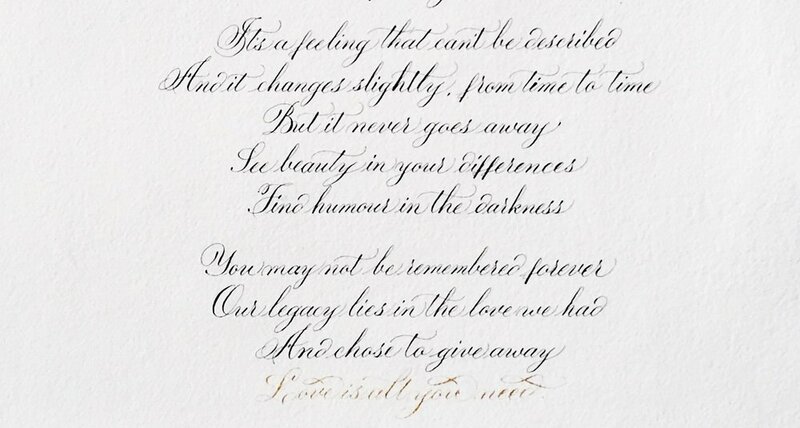 We've tweaked our notes to offer you a morning of creating your own hand-lettered fabric artwork. By the end of the relaxing workshop, you'll go away with a new skill, top of the line material and a wall decor you can proudly display at home! Course fee includes a specially curated kit made up of various brush pens, brush, notes, ink and an exclusive Artsynibs tote bag. Join us at The Little Paper Shop as we learn to handle the brush pens and paint brushes to create beautiful lettering.